Located in Manila’s vibrant Binondo district, the world’s oldest Chinatown, Swiss-Belhotel Blulane is an international hotel that rises above the crowd and puts its guests in the heart of the action. 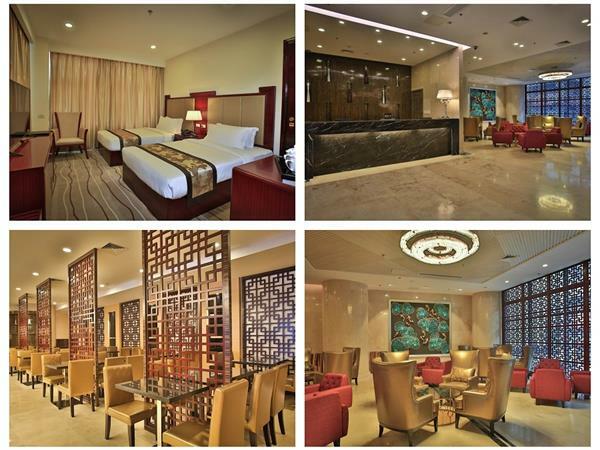 Set in an impressive 19-storey building, the hotel offers 171 rooms and suites, all blessed with a modern Asian-inspired design and the latest amenities, enabling travellers to unwind in comfort and style. There are two excellent restaurants, a casual coffee shop, a serene spa and extensive conference and banqueting space, including a grand ballroom, making Swiss-Belhotel Blulane ideally suited to every occasion. All guests will enjoy exceptional service that exudes the genuine warmth of Filipino hospitality. Manila’s authentic charm can also be experienced throughout the hotel’s historical local neighbourhood. A series of national landmarks lie within easy reach, including the walled city of Intramuros. Alternatively, guests can simply stroll among the charming streets of Binondo and savour the local Sino-Filipino culture, or shop in the Lucky Chinatown Mall which is just 10 minutes’ walk away. For guests seeking an insight into the rich cultural heritage of Manila, whilst also being able to enjoy world-class accommodation, amenities, service and meeting space, Swiss-Belhotel Blulane is the perfect choice. Swiss-Belhotel Blulane features 171 well-appointed rooms and suites, all blessed with a modern Asian-inspired design and the latest amenities, enabling travellers to unwind in comfort and style. Guests have an array of dining opportunities at Swiss-Belhotel Blulane, including two restaurants, a stylish bar and a casual coffee shop. Swiss-Belhotel Blulane features international facilities that allow guests to relax and recharge their batteries. The serene spa offers an array of treatments, including blissful massages and rejuvenating sauna experiences. A bustling global metropolis, Manila is the capital of the Philippines and the country’s centre of commerce, culture, transportation and tourism.